Steve Mutinda Kyalo, co-founder of Shimba Technologies, is connecting his fellow Kenyans to reliable healthcare with the MedAfrica smartphone app. Kenya continues to be an innovation hotbed for technologies meant to improve the lives of people in the developing world. 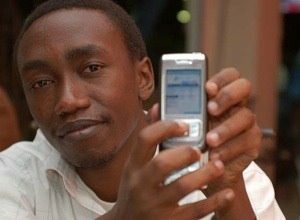 Shimba Technologies, a startup based in Nairobi, just released a new smartphone app that connects people in Kenya to quality healthcare and important health-related information. It brings to the country a valuable service typically taken for granted in the wealthier countries of the world. The app, called MedAfrica, gives anyone with a smartphone a list of medically certified healthcare providers. That might not sound like a major service, but many African countries including Kenya have a major problem with quacks – medically-unqualified people posing as doctors. A recent sting in Kenya resulted in the shutting down of 22 clinics across the country. Eighteen people posing as doctors and dentists were arrested. MedAfrica’s list of practitioners, provided by Kenya’s Medical Practitioners and Dentists’ Board, takes the guesswork out of locating quality medical care. Another problem MedAfrica addresses is the relative dearth of doctors. About 40 million people live in Kenya, and they’re cared for by only 7,000 doctors. MedAfrica takes advantage of the fact that 25 million Kenyans have mobile phone subscriptions. The app makes the medical knowledge currently stored in “too few heads” and effectively scales that information, making it available to the masses. But the app isn’t limited to just connecting people with bonafide caregivers. It also has a step-by-step self-diagnosis feature that people can use to become more informed about what might be ailing them. And with their educated guess, the app connects them to a suitable specialist at the touch of a button. Other types of information are accessible. Local hospitals provide first-aid advice, health alerts and hospital updates. In the future, Shimba plans to add a data feed from the national Ministry of Health to give people realtime information on disease outbreaks and reports of counterfeit drug-making. Watch the following video for a closer look at MedAfrica’s features. With about 1,000 downloads a day, there’s no doubt that Kenyans are enthusiastic about the new app. 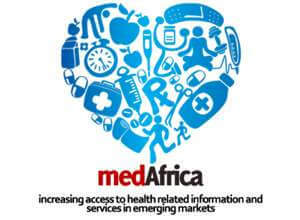 Since its beta launch on November 1st, 25,000 people have downloaded MedAfrica. The business model employed by Shimba is one familiar with Silicon Valley startups: content is offered free and paid for by advertising. In the future, however, they plan to charge doctors about $10 a month to access its database of users. Shimba was founded by Kenyans Stephen Kyalo and Keziah Mumo and aided with $100,000 seed funding from a European venture capitalist firm. They’re starting in Kenya, but the two hope to make MedAfrica a household name throughout Africa and bring the benefits of reliable healthcare information to the rest of the continent. MedAfrica runs on a number of platforms including Android, which is perfect for places like Kenya where the cheap Android phone, IDEOS, is selling like hotcakes. Obviously, for the app to make an impact on the African people, they’ll need to have smartphones. The $80 IDEOS is extending its reach across the world, having recently been launched in Germany and the UK. Hopefully the same will happen for Africa where, with MedAfrica, it could make the difference between quality healthcare and frightening malpractice. In January, Shimba expects to launch a feature similar to Yelp with which MedAfrica users can recommend and rate doctors. The feature should greatly enhance the app’s usefulness, at least in cities where people have a choice between doctors and specialists. No one wants to pick a doc blind. Smartphones make our lives easier. We can manage our bank accounts, our schedule, get directions, check email, listen to music, browse the Internet, and so much more. But while apps meant to help us manage or entertain ourselves proliferate like crazy, apps that help the world’s less fortunate are relatively few in number. Other companies like Shimba are trying to change that. Much larger than Shimba, Safaricom – also based in Kenya – already has 18 million subscribers. They recently joined up with a startup called Call-a-Doc to provide a service that would allow Kenyans to speak with doctors for two cents a minute. MPedigree, a non-profit based in Ghana, has an SMS-based mobile service that enables people to identify counterfeit drugs which, according to the company, makes up about 10 percent of all drugs on the global market. They also say that the fake drugs claim about 700,000 lives per year. Shimba’s motto underscores the growing trend among innovators to develop technologies to improve the lives of people living in the poorest areas of the world. MedAfrica, such a simple concept with the potential to have a major impact on people’s lives. Save a life? There’s app for that.